The Giving Back Fund (GBF), a nonprofit organization that provides philanthropic management and consulting to the sports and entertainment industries, released its fifth annual Giving Back 30, a list of the 30 celebrities who made the largest donations to charity in 2011 according to public records. The list includes celebrities from many walks of life including actors, writers, producers, musicians, comedians, and athletes. Topping the list were actress Jami Gertz and her husband, Anthony Ressler, who donated $10,569,002 to the Ressler Gertz Foundation. 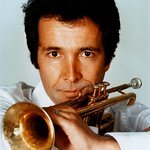 Coming in second was musician Herb Alpert, who gave $9,104,829 to the Herb Alpert Foundation – which focuses on the arts, compassion and well being – followed by Mel Gibson, who gave $6,853,020 to the AP Reilly Foundation, which he started to support the Holy Family Church. Fourth on the list (“May The Fourth Be With You”) was George Lucas, who gave $4,250,000 to the Lucas Film Foundation, which was then granted to the George Lucas Educational Foundation with a mission to inspire and empower young people to become responsible citizens and compassionate leaders. Following Lucas on the list is author Nora Roberts, who gave $3 Million to the Nora Roberts Foundation, which supports literacy. Meryl Streep has been named as number eight on the list, with $2 million going to the Silver Mountain Foundation for the Arts a foundation she started with her husband. The charity made several grants during the year, including $100,000 to both Oxfam and Partners in Health. Taylor Swift made number 26 on the list, with donations totaling $625,000. $500k went to Hands on Nashville the Community Foundation of Middle Tennesee for Nashville’s flood relief efforts (Nashville Rising); $25,000 to the Wyomissing, PA school district for education, and a $100,000 check to rebuild Kids Kingdom, a playground in Hendersonville, Tennesee where she attended high school. Also named on the list was Jerry Seinfeld, while also featuring in the top 30 were Barbra Streisand, Matthew McConaughey, Gisele Bundchen, Alec Baldwin, Sandra Bullock, Eli Manning, Will Smith, Hugh Hefner, Lance Armstrong and Victoria Principal. To compile the most accurate information, The Giving Back Fund reviewed media reports of charitable giving by sports and entertainment professionals; made inquiries to more than 250 celebrity publicists, attorneys, agents, agencies, and managers for information about their clients; sent requests to charities known for their celebrity affiliations; and contacted the major sports leagues and associations. Information was confirmed by at least one source other than an initial media source. Donations made by a celebrity’s foundation were not included on the list since there is no way to track the source of that money, which could be money raised by the public and not money donated by the celebrity.